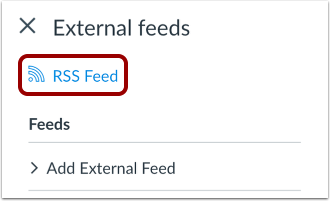 You can subscribe to the Announcement RSS feed in your course or group and receive announcements via any RSS feed reader. This lesson shows how to subscribe in a course, but the steps are the same as in a group. Click the RSS Feed button. If you use a Firefox browser to access Canvas, you can add a Live Bookmark from this screen. If you use a Safari browser to access Canvas, Safari will automatically create a RSS feed for you from this screen. Copy the URL in your browser's address bar. Then open your preferred RSS feed reader and paste the copied URL in the text box. Previous Topic:How do I add an external RSS feed to an announcement as a student? Next Topic:How do I reply to an announcement as a student? 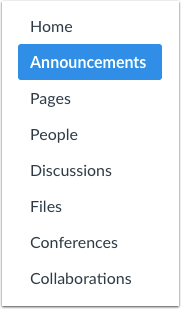 Table of Contents > Announcements > How do I subscribe to the Announcements RSS feed as a student? Re: Can you display the Announcement Stream in a Discussion or on a separate page?